Before I kick off my Top 100 prospects for 2019 (Monday), I figured it might be interesting to look back at the past four years of rankings. Since you started doing this, how many who were ever ranked in the 50 – 100 group eventually made it to the majors and had substantial careers? Like a career fWAR > 1. Seems like that would make an interesting column unless you have already done one like that. After a quick glance, I’m going to have to change the criteria a bit. I’ll be looking at prospects I ranked in the 51-100 range since 2015 (the first year I ranked 100 prospects) and just see which ones made the majors, because none of them have compiled an fWAR of > 1 thus far. I’ll also include a few prospects who have climbed the ladder and are primed to be MLB contributors soon (or already have been). Oaks and Stewart were both drafted in 2014, while Dixon was the Dodgers’ 3rd-rounder in 2013. Santana had made the transition from the infield to the mound while Smith did the same from the outfield. 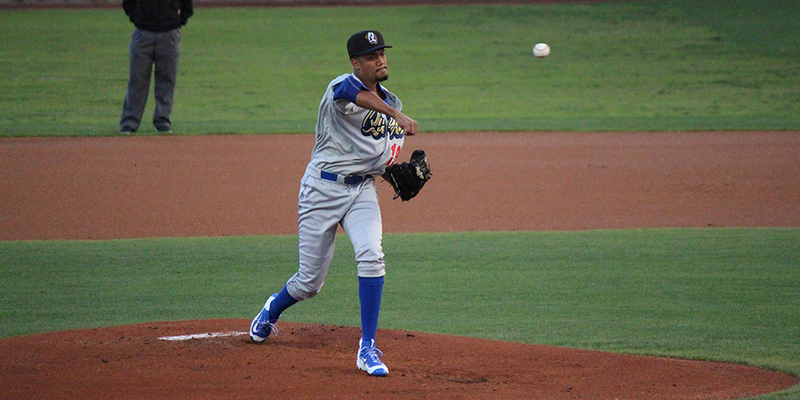 Oaks made his MLB debut last season after being traded over the winter to the Royals in the Scott Alexander deal. He pitched in 13 2/3 innings and posted an ugly 7.23 ERA. But his 3.97 FIP gives some hope for him going forward. (Disclaimer: It’s a small sample size). He has been worth 0.2 wins so far. Stewart has been up-and-down with the Dodgers after flashing some potential in 2016. 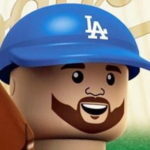 He has logged 80 innings in parts of three season with the Dodgers. He has a 4.84 ERA, 5.50 FIP and a -0.5 WAR. He’s out of options and could find himself on the waiver wire before too long. I still think there’s some potential in his arm, but not nearly what I (and others) thought a few years ago. Santana debuted in 2018 in Colorado. He got lit up a bit — 5 runs in 3 2/3 innings — but he also struck out four, walked just one and even went 1-for-2 at the plate with a 2-run double. He has been worth 0.1 WAR both on the mound and at the plate and as long as he’s OK after missing the rest of the season with a sore shoulder, the future is bright for this young man. Smith appeared in five games for the White Sox in 2016 and pitched to a 6.38 FIP and a -0.1 WAR. He has since retired. Dixon was traded in the deal that brought Micah Johnson, Frankie Montas and Trayce Thompson to the Dodgers in the winter of 2015. He debuted with the Reds in 2018 and hit just .178/.218/.356 over 124 plate appearances. That amounted to a -0.2 WAR. He was picked up by the Tigers this winter. Dickson was the Dodgers’ 12th-rounder back in 2011. He ranked higher than this before finding himself in the back-half of the Top 100. Ruiz had just signed out of Venezuela and made a solid impression in his professional debut. He hasn’t made the majors yet, but he’s one of the Top 2-3 prospects in the system and some think he’s the best catching prospect in the game. Rios was the Dodgers’ 6th-rounder in 2015, while Ravin was signed as a minor-league free agent. Dickson debuted in 2017. He went 1-for-7 in his nine plate appearances, good for a -0.1 WAR. He had a short stint in NPB last season and is currently a free agent. Ruiz and Rios were both added to the Dodgers’ 40-man roster this winter, so their MLB debuts could come as soon as this summer. Ravin debuted for the Dodgers in 2015 and brought with him a legitimate high-90s fastball … and not much else. He got suspended for performance-enhancing drugs in 2016. In all, he logged 38 2/3 innings as an MLBer (all but 3 innings came as a Dodger). He has a career 5.12 ERA, 5.22 FIP and -0.4 WAR. He spent 2018 in the Braves’ organization (after being traded there the previous winter) and signed a contract with NPB’s Chiba Lotte Marines last week. The more recent you get, the fewer players there are (and there are none from 2018 to qualify for this … yet). Gonsolin was the Dodgers’ 9th-round pick in 2016, while Locastro was acquired in July 2015 as part of the Chase De Jong trade. Gonsolin has done nothing but improve his stock since turning pro. A breakout 2017 led to a breakout 2018 season. He could see LA this summer if he handles Double- and Triple-A well. Locastro had a couple of stints that saw him play the role of (mostly) pinch-runner. He went 2-for-12 in 15 plate appearances with six runs scored and four stolen bases. The infielder/outfielder has a career 0.1 WAR. He was traded to the Yankees earlier this offseason before getting shipped to the Diamondbacks (after being DFA’d) earlier this week. This was a pretty nice little exercise. It’ll be something to revisit in a couple years to see if there are any other players who have made a name for themselves or if any of the newer rankees have surprised like some of the prospects above. Next Dodgers rumors: A.J. Pollock, Joc Pederson to CWS/ATL, Josh Harrison?? ?